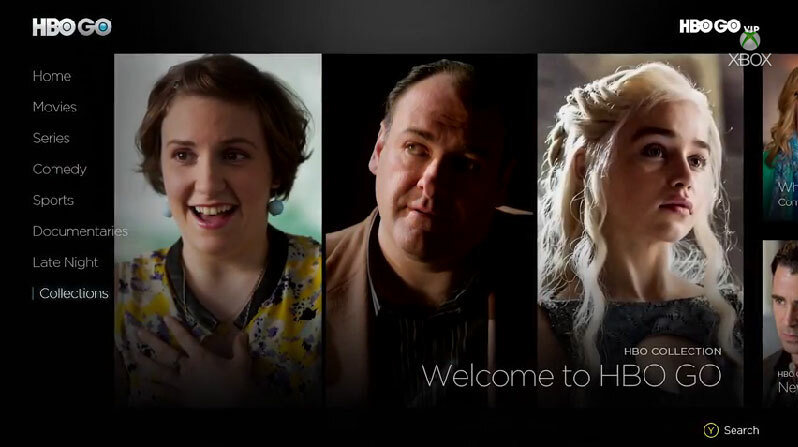 The HBO Go app is now available for the Xbox One console, launching today on Xbox Live for customers in the US. The app joins other TV app channels such as CW, FXNOW, STARZ Play, and Syfy Now that are already available for the console. HBO Go requires authentication through a service provider, via username and password, and brings access to HBO’s library of shows such as Game of Thrones, Girls, The Leftovers, and True Blood. The app also offers classic titles such as Entourage and The Sopranos, sports events, documentaries and music and comedy events. The app for Xbox One includes a “Pin” feature that lets users pin favorite TV shows for easy access, and when selected picks up exactly where they left off in a series. The app also features Kinect voice and gesture controls allowing users to search the entire HBO catalog with gestures or voice commands. HBO Go can be authenticated through the following TV service providers: AT&T, Bend Broadband, Blue Ridge Communications, Cablevision, Charter, Comcast’s Xfinity, Cox, DIRECTV, Dish, Grande Communications, HTC Digital Cable, Massillon Cable/Clear Picture, Mediacom, Midcontinent Communications, RCN, Suddenlink, Time Warner Cable, Verizon, and Wow!